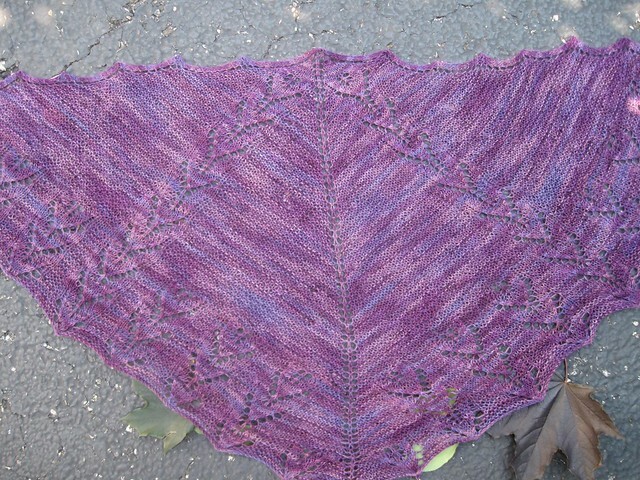 I designed this shawl exclusively for Fuzzy Wuzzy Yarns in Arlington Heights a few months ago. Garter stitch and lace, two of my favorite things. Knit out of one skein of Shaeffer Anne yarn, you can whip this thing up in a flash. You could also use any sock yarn you like, but you would need 450 yards or more. Timberland is now available on Ravelry for $6.00. But, if you use the coupon code 'timberland' at checkout, you can get it 20% off now thru 2/17! A great deal!